The holidays can be such a chaotic time for children of divorce. Growing up, I had 2 separate Christmases, and there was even one year I spent most of Christmas day on an airplane shuffling between Mom’s and Dad’s houses. My stepdaughter has 4 celebrations between Christmas Eve and Christmas Night – four. Seriously. She starts at Nana’s house (Mom’s mom) on Christmas Eve and celebrates with Mom and Mom’s immediate family. Then she heads over to GiGi’s house (Dad’s mom) to celebrate with all of Dad’s immediate family on Christmas morning. Later Christmas morning, she celebrates with Dad and Stepmom. At about noon, Mom picks her up to head to Mamaw’s house (Mom’s grandma) to celebrate with Mom’s extended family. Are you as exhausted as I am thinking about all of that? To keep my stepdaughter from feeling too overwhelmed from all of the commotion, we’ve implemented a new blended family Christmas tradition that crosses homes. 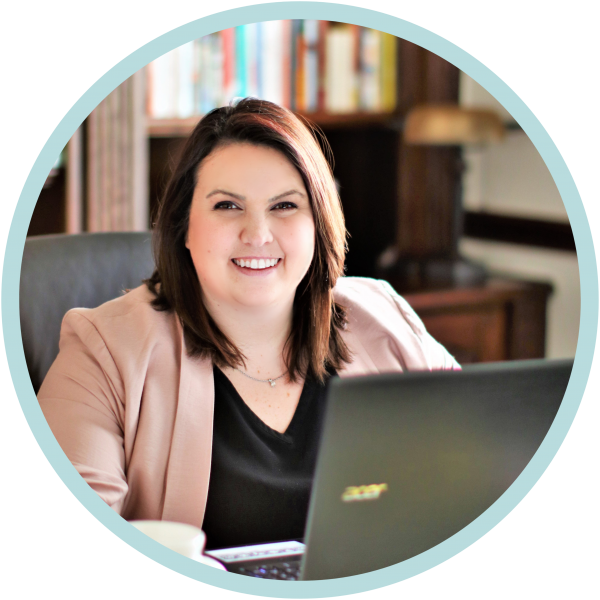 During the holidays, it becomes very apparent to children of divorce that their lives aren’t the same. Mom and Dad are not together, and there are exponentially more celebrations and events during the Christmas holidays. Now most kids don’t see an issue with that part of the equation, but they definitely get overwhelmed – physically and/or emotionally – when they recognize the chaos of their schedule. To remind our daughter that we’re one united front, we do an advent calendar together. It carries over from Mom’s house to Dad’s house, and it provides consistency in her life. Each of the first 25 days of Christmas, K is able to open 1 present from a designated stack, whether she’s at Mom’s or Dad’s house. Each of those presents is a book she will get to open and read with her family that evening. 1. She has consistency between houses. Whether at Mom’s house or Dad’s, she knows exactly what to expect during the month of December. She’s not distracted wondering who’s going to pick her up from school today, which family she’s going to visit this weekend, or which celebration is next in line. She knows exactly what to expect each day. This consistency is really key for our little ones during this time. They’re remembering what holidays looked like pre-divorce and how steady and predictable their lives were back then – a complete contradiction to what life looks like when you’re part of a big blended family. Giving our kids even one consistent activity truly helps them relax and enjoy the holidays. 2. It ensures quality time with her family. Things get chaotic for us moms during the holidays. We’re preparing food for potlucks or parties, purchasing and wrapping presents, and decorating the home. Sometimes we need a little nudge to sit down and enjoy the moment with our kids. Our family’s advent calendar forces us to sit down and read with our little one each night during December, and it’s magical. 3. We’re further instilling a love of reading. Not only is she reading for school each day, but now she’s reading even more thanks to her daily Christmas book. And we all know how good reading is for our littles. It makes them smarter, widens their vocabulary, and maximizes their imagination. Win-win-win! But how on Earth can you afford to purchase 25 books AND Christmas presents each year? That’s a totally valid question! Luckily, K’s school participates in Scholastic Book Club so I can usually find books priced for $1-2 (like the 12 Days of Christmas Pack), and when that’s split between the two houses, $12.50-$25.00 isn’t too terribly bad. But still, not ideal when you also factor in all of the other presents you have to purchase during the holidays. You can also find great deals at Half Price Books! That’s where we purchase all of K’s chapter books. They’re still in great condition, and they’re half the price! This year, I found some Mamas in a local Facebook group that were transitioning out of this holiday because their kids were too old now, and they were happy to sell me their beloved books to carry on the tradition for another little reader. It enabled me to get books for less than $1 each! You can also always go the library route. Just check out 25 Christmas books and wrap them for under the tree. Your child will still get to open one up each night, read it with her family, and then you can return it to the library at the start of January! Children don’t usually read Christmas or holiday books into January anyway – that’s pretty much a November/December thing for us at least. I can’t wait for December 1st!!! 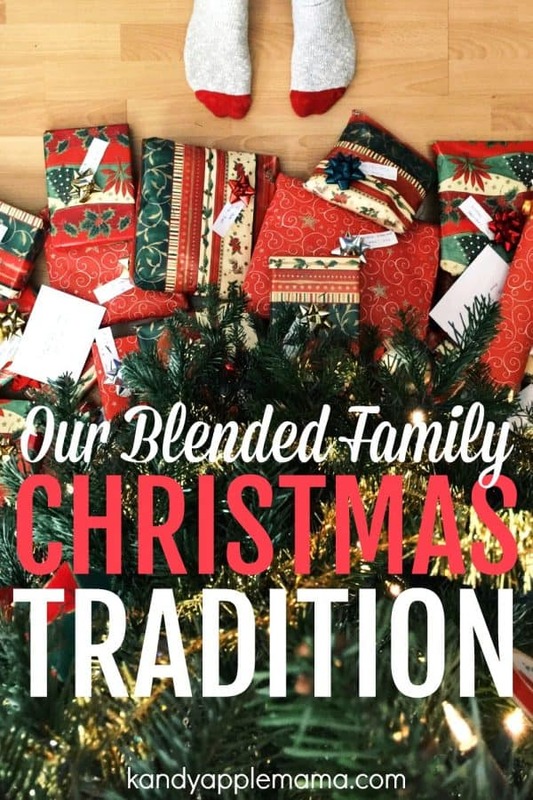 Tell me in the comments below – what are your hacks for navigating the chaos of a blended family holiday? PS: Have you already mastered my blended family wrapping paper hack? What about the co-parenting mom Christmas challenge?